Carbon fiber pattern embossed textile surface. Embroidered KAPELMUUR brand name(right arm) and emblem(left arm) on the arms. Flat Seam stitching offers flat and smooth surface for better feel and less abrasion against your skin. Flat Seams are stronger and tougher than the normal stitching. Can be used in autumn, winter, or spring to keep you warm. Also useful to keep your skin safe from sunburns with UPF+50 rated UV protection. 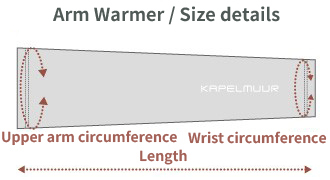 Check the chart below to find the corresponding size of arm warmers to your short sleeve jersey. Our arm warmers are relatively longer than other ordinary arm covers. 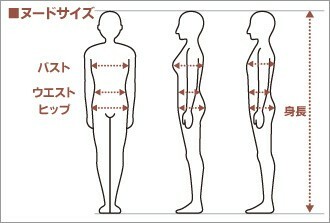 We recommend you 3 to 5cm shorter length than the length between your armpit-wrist.